As an educator, it’s difficult to watch your students go through hard times. Regardless of their situation, it’s important to help these students get the help they need and encourage them to never give up on their dreams. 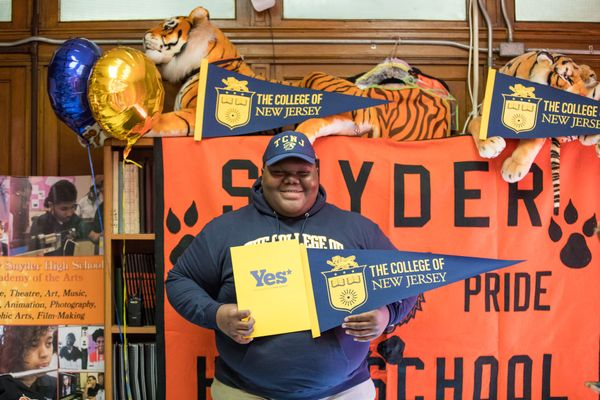 A New Jersey teenager recently got the national media’s attention when he received 17 college acceptance letters. After being in and out of homelessness, living in a shelter for most of his life, and living with twin brothers that both have severe heart conditions, Dylan Chidick never gave up on his and his Mom’s dream for him to attend college. Now, he’s excited to be the first person in his family to go to college while he attends his top school choice, The College of New Jersey. Chidick worked his hardest to become senior class president at Henry Snyder High School and was also inducted into the Honor Society. He has been encouraged by his mother and supported by the entire administration at his school through this process. Thanks to his support and hard work, Chidick now gets to pursue political science and history at his dream school. How cool would it be if you were the educator to help your students achieve their academic dreams?